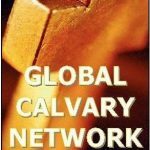 Global Calvary Network (GCN) is not a church. It is a meeting place for all Christians of all denominations to interact and access resources that will help build and sustain their faith and way of life. GCN is also a place for people of all nations and faith seeking to know more about Jesus Christ and the Christian faith. We publish sermons, reviews of Christian books, faith-building testimonies, letters and stories of inspiration. We also publish, free of charge information about meetings, outreach programmes or other church or ministry events geared at harvesting and nurturing souls for the Kingdom. Global Calvary Books is the imprint of the network that will publish biographies of key figures in the Christian world, inspirational books on Christian living and discipleship, as well as creative Christian literature in fiction, poetry and drama. If you would like to have a column and write regularly for this site contact us.